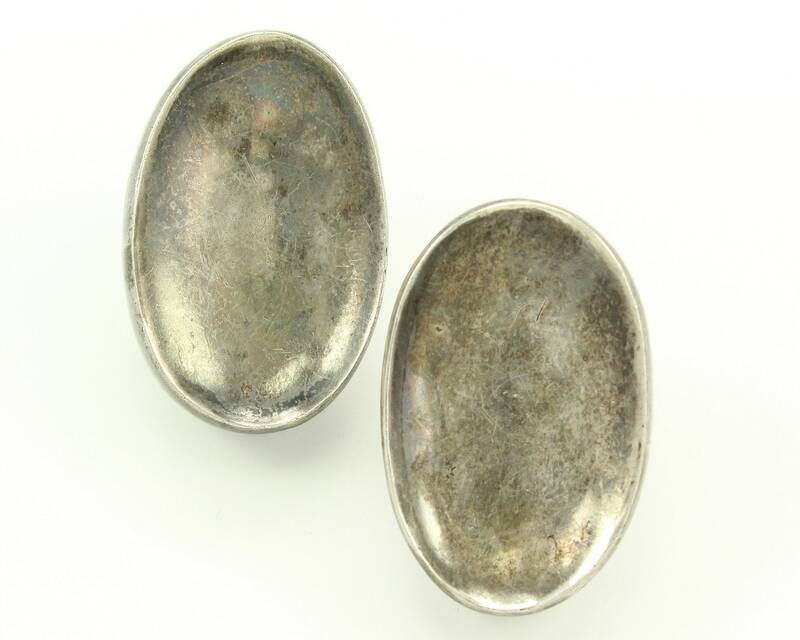 Mid Century Modern Antonio Pineda Sterling Oval Earrings. 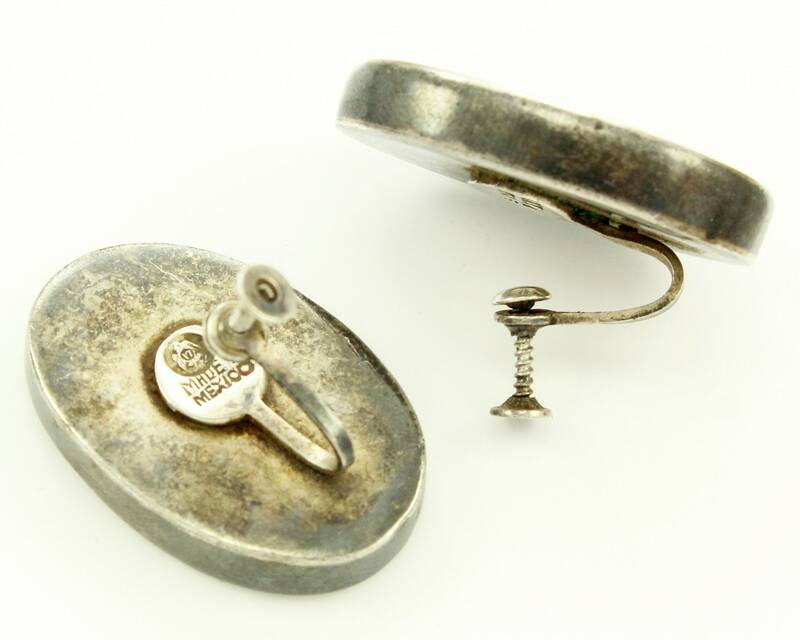 The beautiful pair of mid century modernist screw back earrings was made in the 1940s by silver maestro Antonio Pineda of Taxco Mexico. 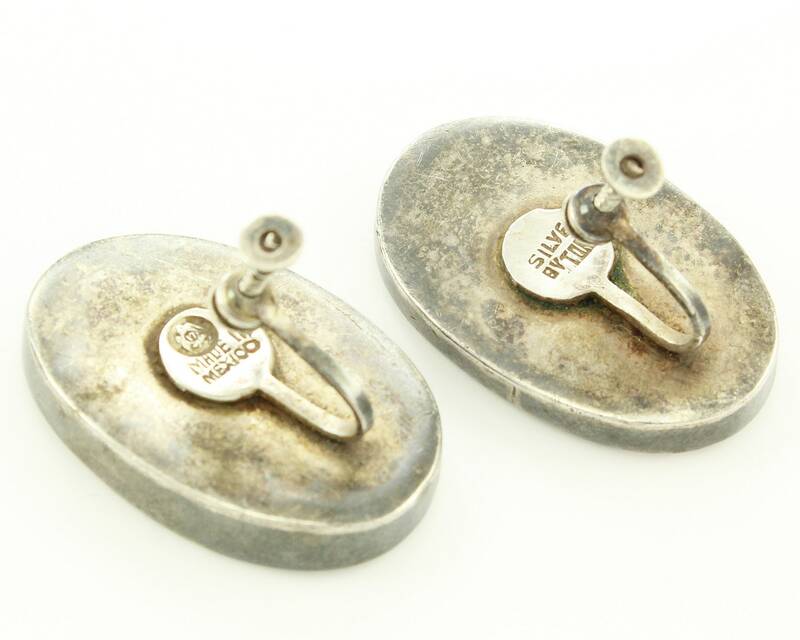 We have left the earrings in the condition they were found at a local estate, with a deep patina. 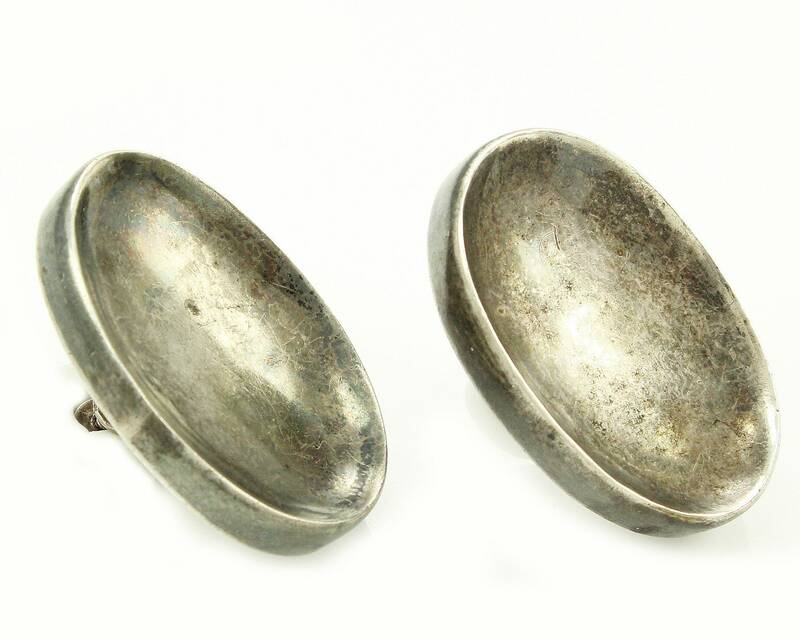 HALLMARK/HISTORY: One earring is marked Made in Mexico with Eagle Mark 17 and the other earring is marked Silver by Tono. Both these marks are both documented to be those used by Antonio Pineda. 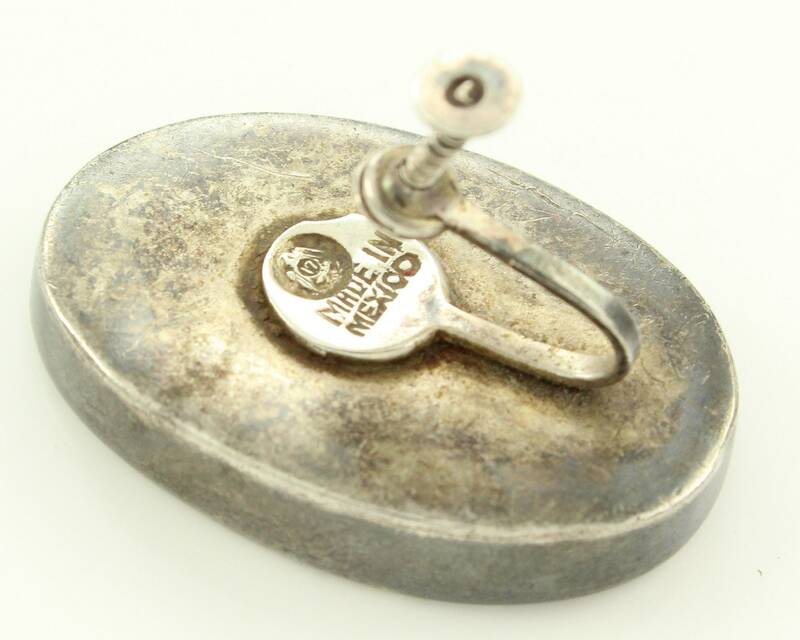 Pineda worked for Spratling for eight years and is widely acknowledged as one of the true masters of 20th century Mexican silversmithing and jewelry making. 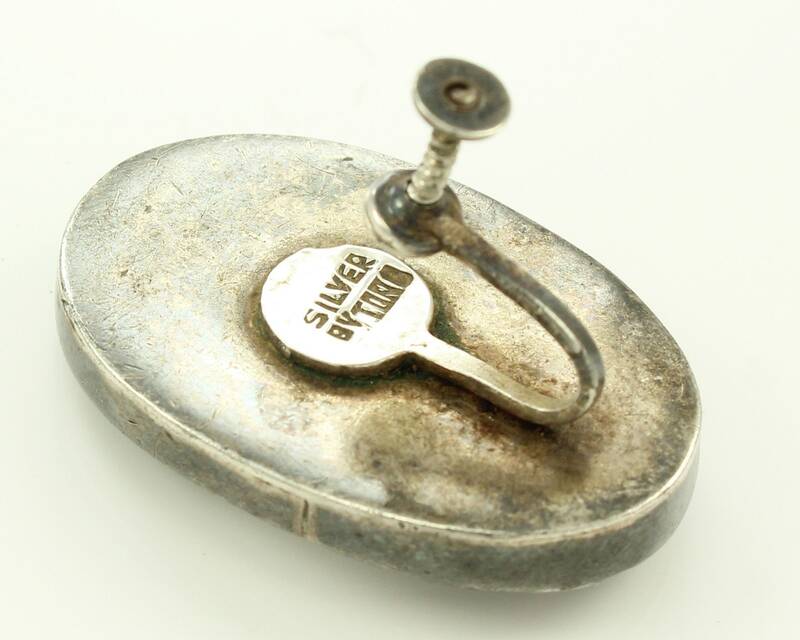 MEASUREMENTS: The earrings measure 1 1/4 long and just over 3/4" wide. The fronts are 1/4" thick. CONDITION: Well Loved Vintage Condition with original patina and some minor signs of wear. Earrings were previously owned and worn.